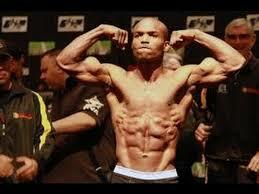 Does it look like WBO Welterweight Champion Timothy Bradley has stomach problems? During his intense training, Timothy Bradley can't allow trouble foods to get in the way of digestion. Learn how to get the most out of your meals with USANA Digestive Enzyme on November 30 on the Dr. Oz Show. Check your local listing for the time and channel.